This is a very important factor to make an application really strong. 1 Unregistered freelancers can just simply write their profession? what documents to produce along with the application? 2 Bank statements with variable methods of payments could convince the visa officer that these are all legitimate payments? ...if you have some sort of accreditation, put it next to the occupation (.e.g., "Freelance musician, ASCAP registered"). For employer's name and address, if you have a limited company, put down the details. Otherwise put your own details. There is nothing particularly wrong with admitting a freelance occupation. You would submit the appropriate documents as identified in the guidance (USA, UK, and Schengen all have guidance). In the UK, for example, it is legal to continue working as a freelance as long as you are in compliance with the Appendix 3 of Appendix V and make the appropriate filing with HMRC. Your mileage may vary with other regimes. 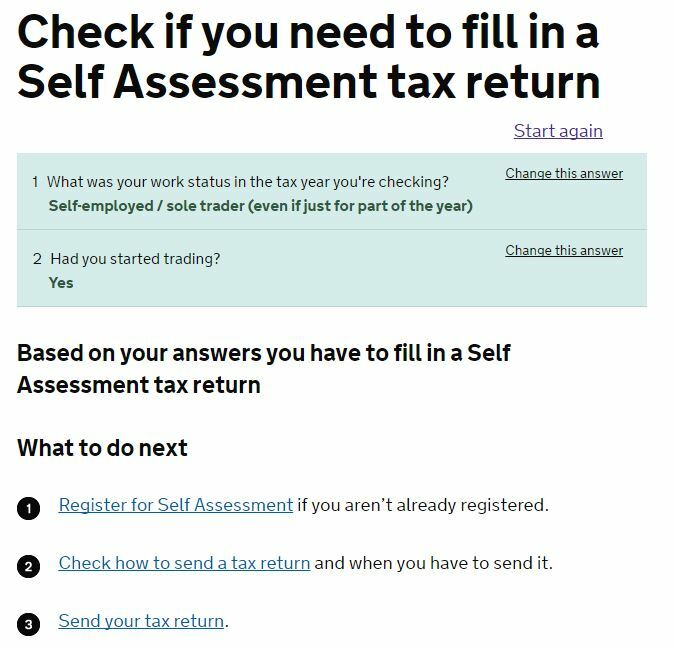 Here's a screen shot from the HMRC site. Note that they do not care if you are a foreigner, tourist, or whatever as long as you have done something in the UK. Of course, the likelihood is that you will end up with an exemption or otherwise owe nothing (but it keeps your nose clean with UKVI and the ability to produce one will impress them immeasurably). Not the answer you're looking for? Browse other questions tagged visas paperwork applications freelance or ask your own question. Applying for a tourist UK visa without salary slips - I'm a freelancer. What can I use as proof of funds? How should freelancers apply for a Schengen visa? Can I apply for Denmark Schengen visa while being unemployed? What should I write in the “Member State of first entry” field on a Schengen visa application form? What should I write in the “National identity number” field of the Schengen visa application form?